Just in time for the rainy and hurricane season, A1 Orange is raising the bar on leak detection and repair with a game-changing infrared camera. With this tool, A1 technicians can precisely and quickly determine the source and path of water leaks. Detecting and repairing leak issues more quickly saves you and your tenants time, unnecessary water damage, and disruption. It may also protect the health of your building and tenants by finding unseen moisture from leaks that can cause mold. A1 Orange is excited to be on the leading edge in introducing this infrared camera technology to help with the recurring but trick issue of identifying water intrusion sources. As always, A1 will provide an inspection report with photos to assist property managers in working with their building owners to make better decisions in their maintenance program. This will also allow better planning and communication with tenants. One or two water leaks can be isolated failures, but 10 or more often indicate joint system failure due to age and exposure. 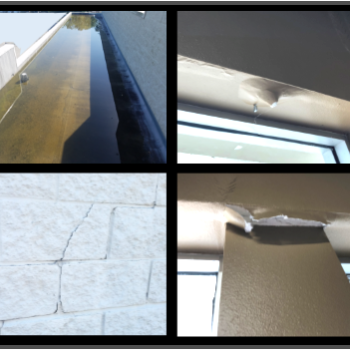 A1 caulkers are experts at repairing leaks, replacing entire joint systems, resealing building envelopes and handling all your waterproofing needs. We work with top quality manufacturers to select the best sealant for your application. We remove old caulking and apply the new according to manufacturer specs so that it can be certified for manufacturer warranty. A1 Orange has always guaranteed 100% customer satisfaction.